By now, you’ve probably heard the term “FOMO,” which means “fear of missing out.” Thanks to social media, FOMO is more prevalent than ever, with everyone feeling the pressure to participate in activities they can then post on Snapchat and Instagram. This emotional burden has received plenty of press, as experts highlight the negatives of a social media-driven society. It doesn’t have to be that way. In fact, social media can be used in a positive way, serving to uplift you and everyone you know. The key is to first understand the harm social media can do, at which point you can begin to put strategies in place to get the most out of your social media presence. You’re home on a Friday night, bored, when you scroll through your social media feed and see friends hanging out without you. You may be concerned that you weren’t invited but even if that wasn’t an option, you can still feel left out. Even though social media exists in a virtual environment, the negative feelings you experience as you scroll through your feed are all too real. Interestingly, some experts believe the emotions behind FOMO are a form of social anxiety, but they come from a good place. You’re longing to connect with others outside of a device screen. Those real-world connections may not be possible, especially if you’re working, studying, or stuck with some obligation you can’t quite shake. Unfortunately, social media activity can take an even darker turn, even having been linked to an increased risk of depression. The issue is that online, many people share only the highlights of their lives, leaving off the moments when they, too, feel lonely or left out. Exacerbating matters is the fact that social media decreases offline interactions, and socialization is critical for good mental health. Another issue is bullying, which is all too prevalent on social media these days. Even if a person isn’t directly bullied online, dealing with negative comments is often a daily thing. People often have the courage to say things online that they’d never say if they were face to face, but it has a similar mental health impact as an in-person confrontation would. But there are ways you can turn those negative social media experiences around even when you’re experiencing the anxiety of FOMO. Of course, the easiest way to overcome FOMO is to jump in and participate. But that might not always be feasible. Still, make sure you strike a good balance between screen time and in-person social interactions to avoid feeling as though you’re overdue for time with your friends. At the same time, though, you should take measures to resist the negative mental health outcomes that can come from social media. Here are a few things you can do to keep yourself healthy while still staying connected. Conduct a Social Media AuditÛÓTake an honest, objective look at your online profiles. Tally how many posts are positive versus negative. Keep a DiaryÛÓAs you progress throughout the day, log your mental state before and after spending time on your favorite social media sites. Note whether you feel better or worse after your interactions. Take the Positive Post ChallengeÛÓStudies show that positive posts breed positive updates from others. Dare yourself to post only positive updates for a week and note what you see on your feed as a result. Recognize the IssueÛÓIt’s important to understand that the average social media user only shares the bright side of life. Chances are, everyone on your feed experiences the same emotions you do, likely on a regular basis, and simply chooses to keep quiet about it on social media. for yourself, like going for a walk. 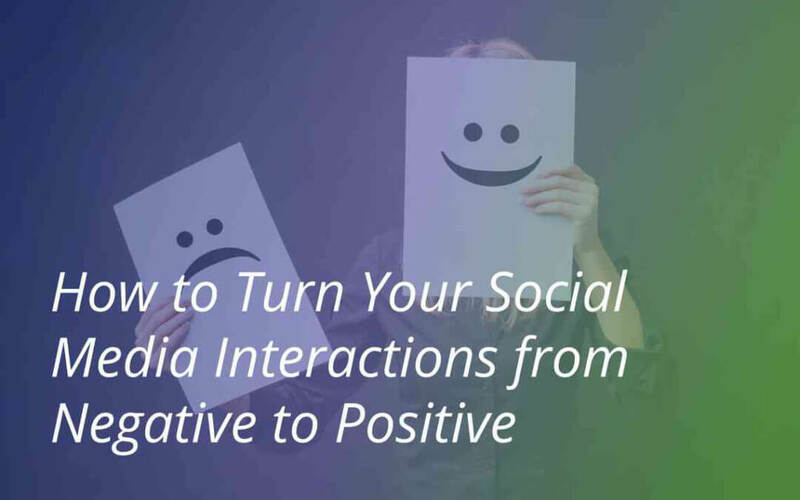 With a little positivity, you can turn your social media experiences around. The first step is to be aware of how your online time is affecting you emotionally. Once you understand the impact it has on you, you can take measures to keep yourself, and your friends, healthy and happy.